LONG BEACH — When Alamitos Bay Yacht Club members learned that their usual docks, launching ramps and boat hoists wouldn’t be available Saturday and Sunday, Nov. 23-24, it meant cancelling the 66th annual Turkey Day Regatta, right? The last and most popular of Alamitos Bay YC’s four annual holiday regattas is right on schedule, regardless of the current demolition, dredging and reconstruction in the yacht basin adjacent to the club continuing through the end of the year. Last year there were about 300 sailors — ranging from kids to codgers — from San Diego to Seattle, racing some 200 boats in 18 classes. This year, Alamitos Bay YC’s usual mass turnout of volunteers is prepared for that many, and more. There won’t be any trophies, but that’s standard for Turkey Day. Instead, winners receive pies and birds ready to roast. Plus, the entry fee includes a Thanksgiving-theme feast on Saturday night. The larger boats — including Vipers, Finns, Lasers and A-Class and Formula 18 catamarans — will race on outer Long Beach Harbor, inside the breakwater, Lido 14s and Naples Sabots will compete inside, on the bay. 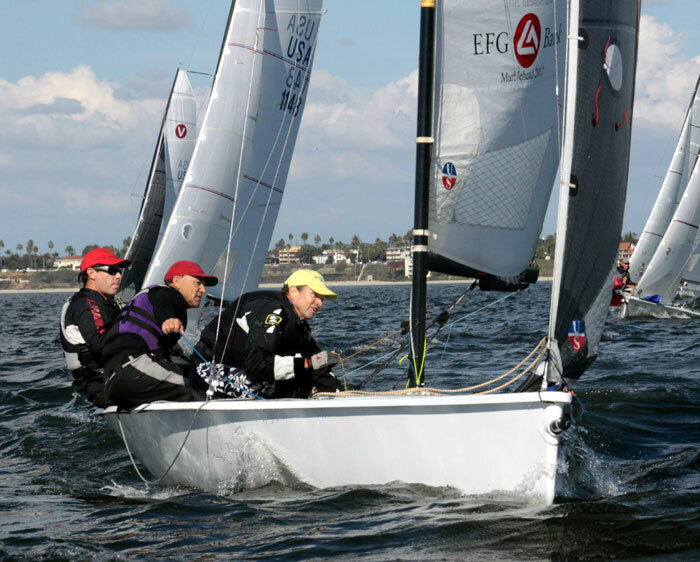 The weekend also will include the third event of the Southern California Youth Yacht Racing Association (SCYYRA) 2013-2014 Ullman/Frost Series for Lasers and Laser Radials. Separate registration is required, and there is a separate entry fee. Visit sccyyra.org for more information. Dinghies and catamarans will launch from the bay beach on the west side of the club, off 69th Street. Larger boats may use the public hoist across the bay on Appian Way, between Long Beach Yacht Club and the Sea Scout Base, or the Davis launch ramp across the channel on Marina Drive. For more information, visit abyc.org.